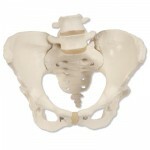 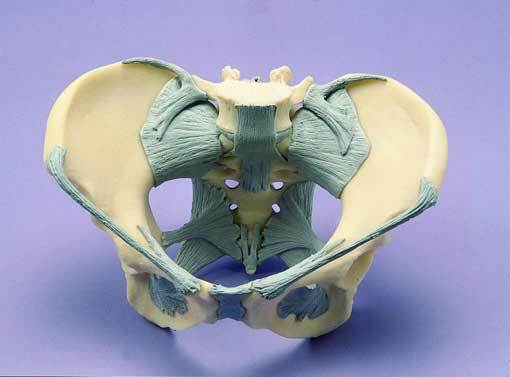 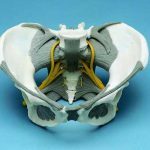 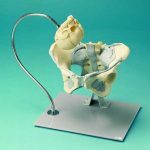 Life size pelvis with 5th lumbar vertebra and ligaments. Cannot be disarticulated. 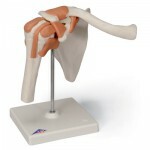 It is made in our realistic bone-like material.